horse stable design Archives - Blackburn Architects, P.C. : Blackburn Architects, P.C. 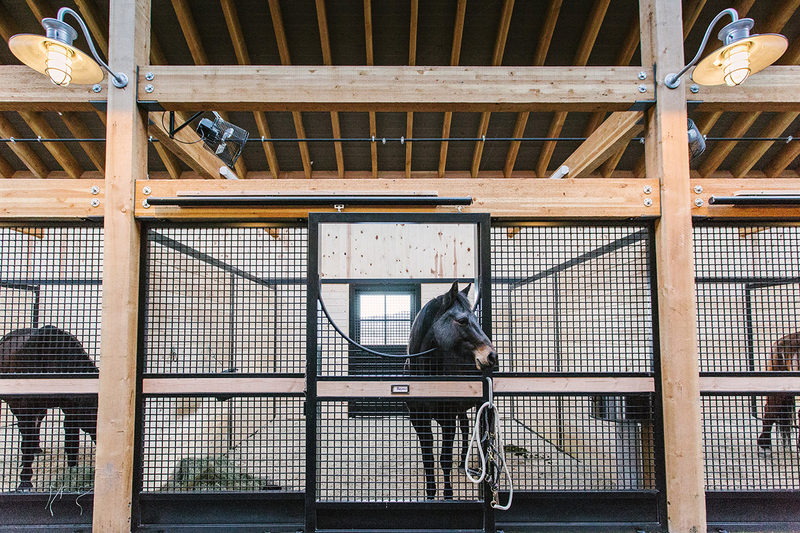 What’s the safest way to incorporate glass in a horse barn? If you’ve been following our work, you already know that Blackburn Architects’ mission is to promote as much natural light and ventilation in horse structures as possible. Naturally, this means we add a lot of windows to our designs. 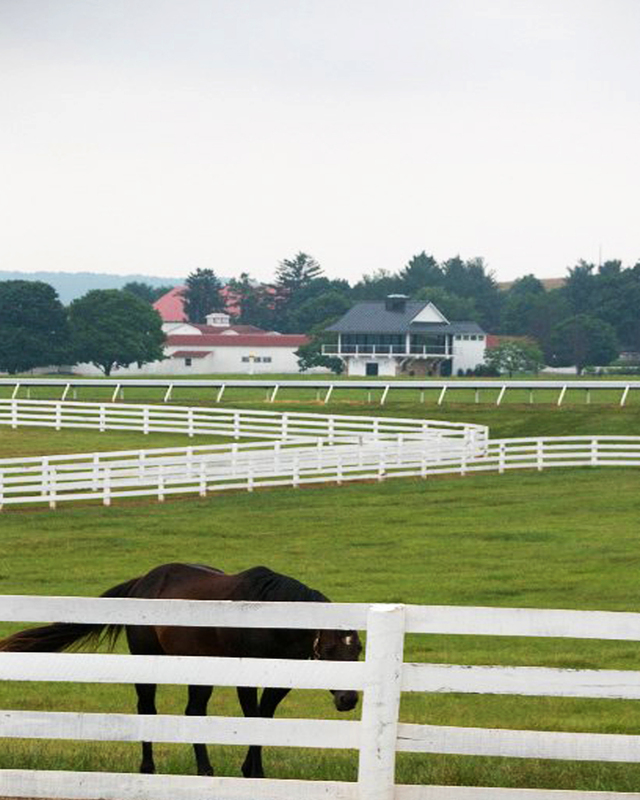 In its safety recommendations for the stable, Rutgers NJ Agricultural Experiment Station cautions that “windows need to be inaccessible to horses and livestock, covered with bars or screening and made of safety glass.” (https://esc.rutgers.edu/fact_sheet/safety-recommendations-for-the-stable-barn-yard-and-horselivestock-structures/). So how do our architects protect the horses and still use a lot of glass in our designs? We recommend that all glass in a horse stable be tempered, including glass that’s laminated. Tempering and lamination do two separate but similar things to increase the safety of glass if/when it breaks: Tempering makes the glass break into small chunks as opposed to slivers and shards, while the lamination gives the glass a slightly greater resistance to breaking and keeps the glass in place when and if it breaks. Laminated glass consists of a clear plastic laminate sandwiched by glass on both sides. Since horses have access to both sides of a glazing unit, ideally both sides should be laminated and tempered. If this approach is too costly for your budget, stick with everything being tempered and omit the lamination. Laminated glass does not always age as well as tempering. The laminate can shrink and pull in from the corners of the glass, and eventually become visible over time. We prefer tempering. To arrive at the minimum thickness of glass, work backwards from the depth of the frame, minus about 1/4”. Each glass manufacturer determines what spacer sizes they offer. Understand that the more airspace you can allow the better, but each manufacturer works with a few different pre-set size spacers. Use the largest one that still allows the glazing unit to fit within the frame. 4. Use double-paned glazing units with low-e gas that has a vacuum sealed gasket between the panes of glass. The pocket between panes of glass is filled with an insulation gas, most typically argon. 5. Consider using low emissive (low-e) glass panes (low-e prevents the transfer of heat from warm to cold). The low-e coating (typically a metallic oxide) should be on outside of the innermost pane of glass. Tempered only – glass may still shatter (in harmless pieces) and fall to the ground. Laminated only – laminate can discolor over time and shrink in from the corners of the glass. Low-e gas filled glazing unit – if the gasket fails, condensation can form in between the glass. Low-e coated glass – may be visible in certain light conditions, or when wearing polarized sunglasses. You can sometimes see this on automobile glass. To summarize, a good starting place for adding glass to your barn begins with tempered glass, meeting the SHGC and U-values recommended above. A step beyond this is low-e coated glass, since with #4 (low-e gas) you can expect the gaskets to fail at some point, and the glazing unit will need to be replaced. If the coating of the low-e coated glass is too “visible,” then low-e gas may be the better option, with the expectation that you may need to replace some of them again in 10 to 20 years, if and when the gaskets fail. John Blackburn knows barns. As Blackburn’s owner and senior principal for the past 25 years, John has designed over 150 equestrian facilities across the United States and abroad. In his blog, Stable Minded, John rhapsodizes about the design process behind our horse barns and equine facilities as only he can. His blogs cover a variety of equestrian news and topics: from the story behind projects we’ve designed to equestrian and design issues, such as how to increase natural lighting in barns. For those of you with questions or comments about the nitty-gritty details we face when designing barns, John considers his blog an open forum to discuss what’s on your mind. If you’re curious about the architectural process, like to view construction photos from start to finish, or have questions about how it all works, we invite you to read and comment at Stable Minded. It might not be literally straight from the horse’s mouth, but we like to think it’s pretty close.